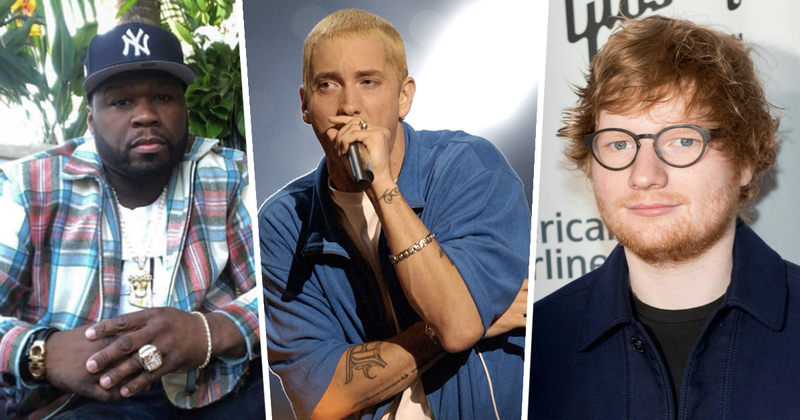 50 Cent has revealed a major collaboration with Eminem and Ed Sheeran is upcoming. The rapper posted a photo of himself chilling in the garden on Twitter as he explained the exciting news. While Ed has worked with Em before on his single ‘River’ from Revival, this will be the first collaboration the British musician has with 50 cent. The world has been awaiting Fiddy’s sixth album Street King Immortal, following Animal Ambition in 2014. 50 has not released much of his own music recently but has featured in the video for Get the Strap with Uncle Murda, Casanova, and Tekashi 6ix9ine. It is not clear whether this new collaboration will appear on the new album. Right now I’m in the middle of recording my sixth album. But it’s as thrilling as my first. Earlier this year the Brooklyn rapper said he hopes his album would be released by the end of this year but it’s not looking likely.